This iconic book covers an iconic tour: when Midnight Oil joined the Warumpi Band to play music in remote Aboriginal communities in 1986. The tour would change Midnight Oil forever and spark the creation of the song 'Beds Are Burning'. Strict Rules is a piece of Australian history and a view on Indigenous issues that is still relevant today. Midnight Oil are an iconic Australian band, known for their songs of social conscience and their conviction. They didn't get that way by accident - one tour in 1986 changed them forever, as they joined the Warumpi Band to play to remote Aboriginal communities. Journalist Andrew McMillan was a witness to this tour and he documented it all in Strict Rules. This contemporary Australian classic charts not just the development of an eternally popular band but a moment in time when Australian culture changed, because the songs produced by Midnight Oil thereafter became embedded in the nation's minds. With Peter Garrett back at the helm of the Oils, the band will embark on a reunion tour in 2017. 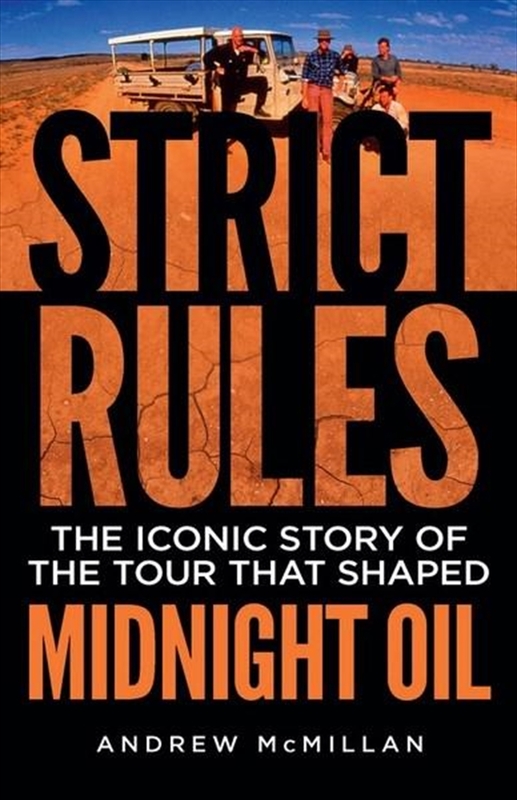 Peter Garrett will write an epilogue for this new edition of Strict Rules, which also contains drummer Rob Hirst's original foreword.